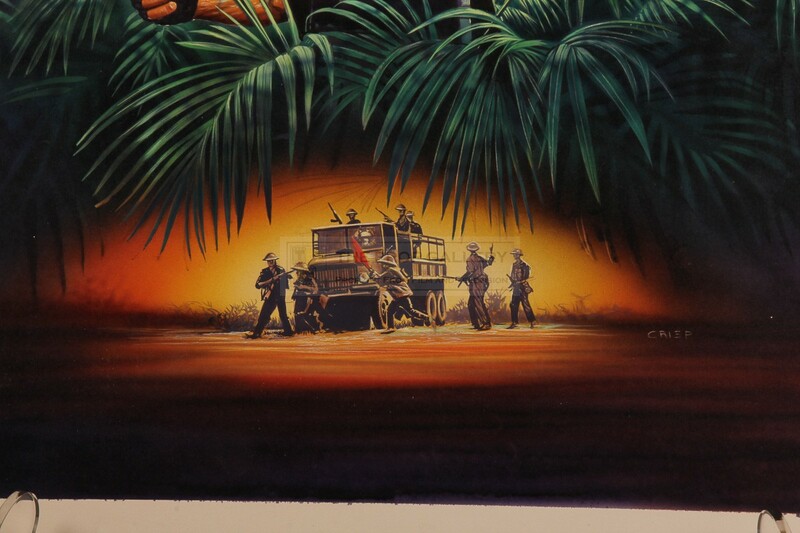 An original artwork from the production of Nam Angels, the 1989 action picture directed by Cirio H. Santiago. 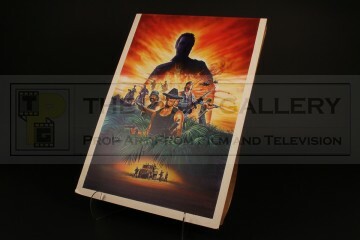 This is an original work created by artist Steve Crisp as a poster concept and subsequently used on the cover of the VHS release. 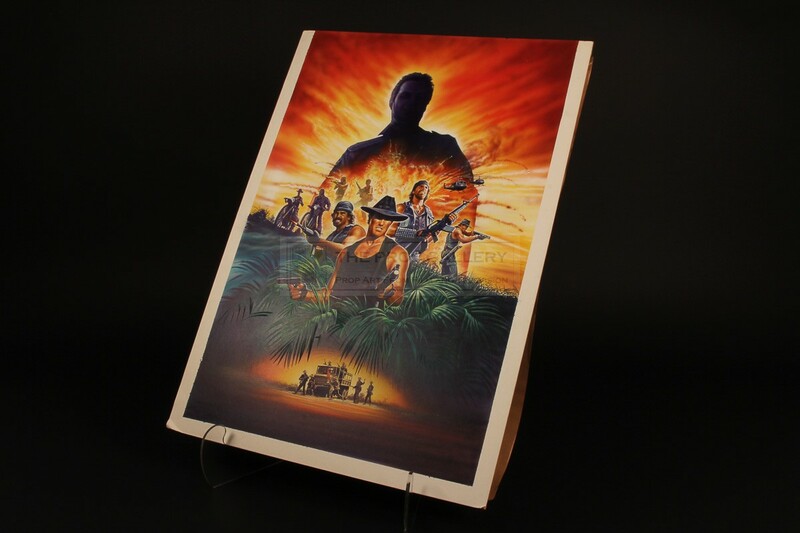 The highly detailed artwork is accomplished in acrylic paint on artists board and features the cast of the film in front of a large explosion and is hand signed 'CRISP' to the bottom. To the rear of the board is a tape applied paper cover which can be folded over to protect the work, this hand inscribed 'NAM ANGELS' and 'STEVE CRISP'. 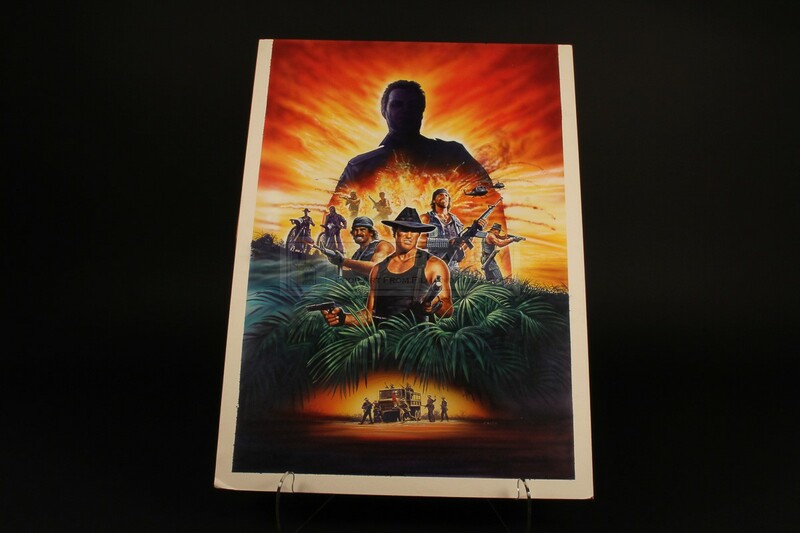 The artwork measures an impressive 34" x 24" and remains in excellent condition with some minor corner wear, overall very fine. 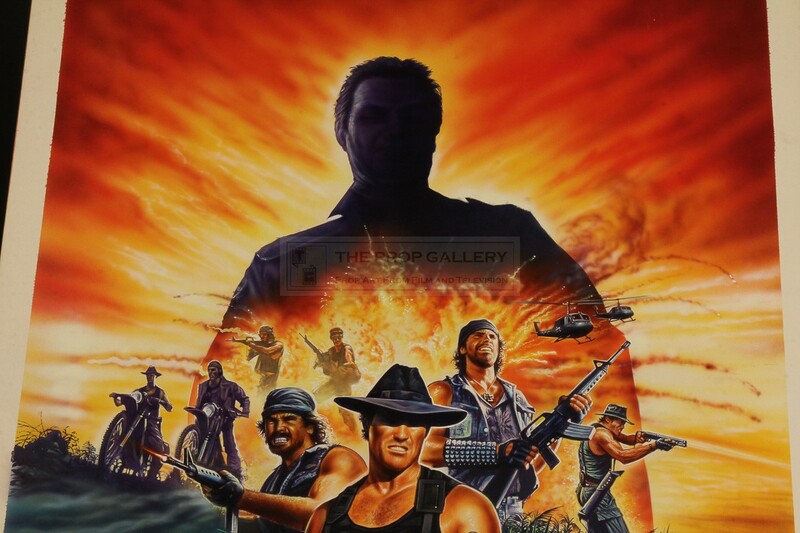 A vibrant and highly displayable artwork from this cult picture.